Among all the different cuisines all around the world, the one that is most wanted is definitely a mouthwatering juicy steak. Home cooks generally face a challenge when they attempt to cook a steak within the vicinity of their homes. There’s also a lot of debate as to whether a steak should be seared or whether the million dollar cooking technique sous vide should be used to cook the perfect steak. So, which should it be? Well, sous vide of course! And, it doesn’t cost a million dollars to pursue sous vide, thanks to the surplus of much more affordable equipment for the cooking procedure in recent times. Before the introduction and adaptation of this French cooking technique, preparing a steak was such a challenge that most home cooks would gladly forgo the idea of cooking it. Conversely, with sous vide, cooking a juicy and thick steak, perfectly done to medium rare, is as simple as it gets. Is Sous Viding Superior to Reverse Searing? Suppose you want to cook a medium rare steak by searing it. You’ll have to really watch your food like a hawk because a single minute or second can alter the results greatly. Another challenge is the heat or temperature that the steak needs to be cooked on in order to get that perfect taste and aroma of a medium rare steak. If you’ve ever tried to prepare a steak at home via traditional cooking techniques, you’re probably aware of the patience and experience it takes to really perfect it, in terms of consistency, taste and deliverance. 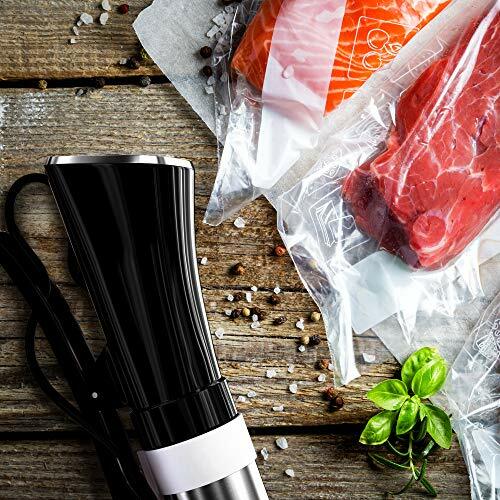 However, if you opt to cook your steak by opting for the sous vide method, you don’t need to worry about any unexpected occurrences ruining your meal; neither will letting it sit for too long spoil the taste or texture of the meat itself. The only thing you’re really going to need is an immersion circulator to keep an eye on the temperature of the water. Still, it’s impossible to burn or overcook the food. Traditional cooking might shorten cooking time, but even then, it won’t be perfect since turning up heat and exposing meat to it will actually cause it to deplete. Professional chefs as well as home cooks have tried and tested preparing a steak by reverse searing it as well as sous viding it. Needless to say, sous vide won in every aspect – taste, aroma, flavorsome and straight up perfection.